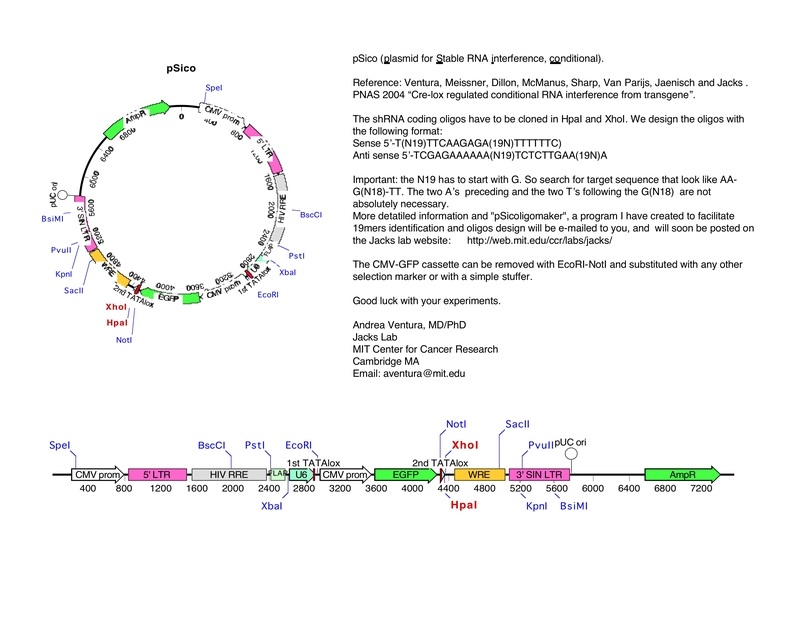 EGFP is expressed from this plasmid as a marker, but it is not a fusion protein. Cre causes EGFP to be recombined out of the construct, activating shRNA expression. 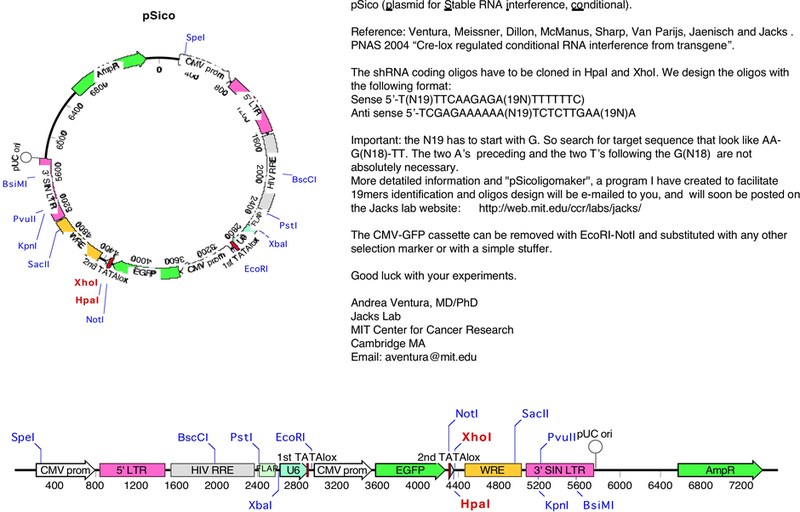 pSico allows for conditional (Cre-Lox), stable expression of shRNAs for RNA interference in cells and transgenic mice. 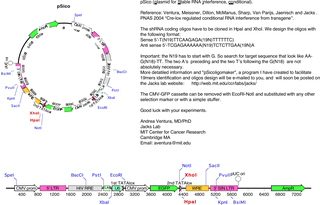 Addition of Cre TURNS ON shRNA expression.